I am getting married in four months. July 22nd to be exact. I am slightly terrified. In fact I have had a series of nightmares about the wedding almost every night this week. Yikes! I have to do something about this. I have to blog about it, in order to get all my angst out. 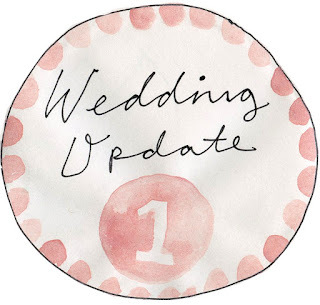 Sooo...Welcome to day one of The Weekend Wedding Update! This is a new segment which I will be starting on my blog every Saturday. It will be a time for me to fill you in on how the things are going. I think this will help me to feel like the process of planning a wedding is more of an adventure and less of a burden that is looming over my head like Damocles' Sword. Here is a descriptions of a typical Lucy Rose Wedding Nightmare. It is the day of my wedding. I have arrived at the park by the river which we have chosen for the ceremony and reception. Even though it is a dream, everything is actually pretty accurate to life. The pavilion is full of people. I look down at myself. I am wearing a blue dress. It is crepe-y and powder blue. It has poofy sleeves like the girl in Napoleon Dynamite. The fact that I am wearing a blue dress instead of a white wedding one makes me feel a little concerned. I also have very long hair which is entangled with little wilted flowers and is kinda messy. It is at this point that a lady rushes toward me. In my dreams this lady is usually an amalgam of Sheldon's mom and my Matron of Honour, Lisa. Basically some female who is deeply entrenched in the planning side of things. She runs up to me and starts asking questions about things like, "Where is the cake? What are we feeding everyone? Do we have a pastor?" 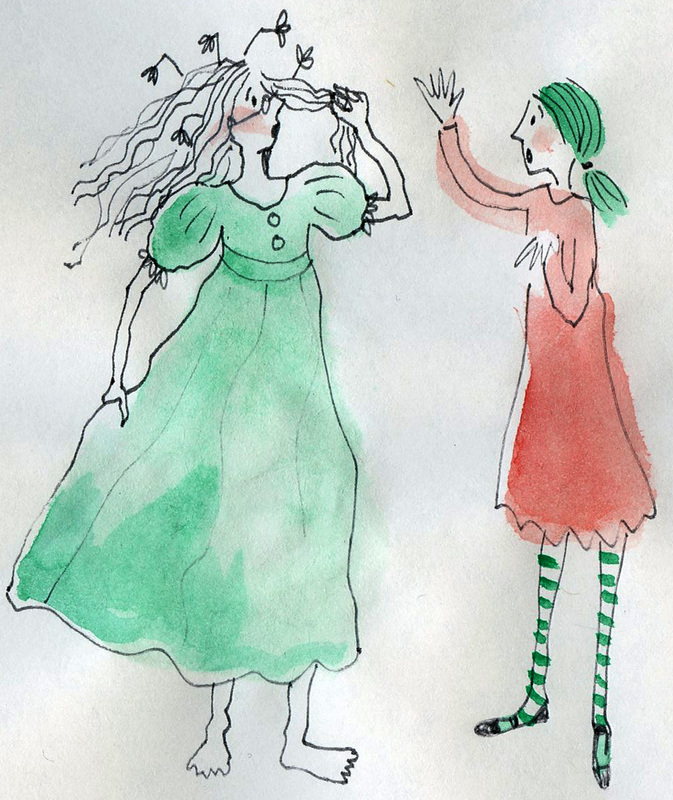 It this point in the dream I start to panic and realize that I am not wearing beautiful bridal makeup. I am actually wearing the make-up of the night before and it is melting off my face. Also we have apparently forgotten to plan everything. Then I wake up hyperventilating. The people in the dreams and the settings are all very real. 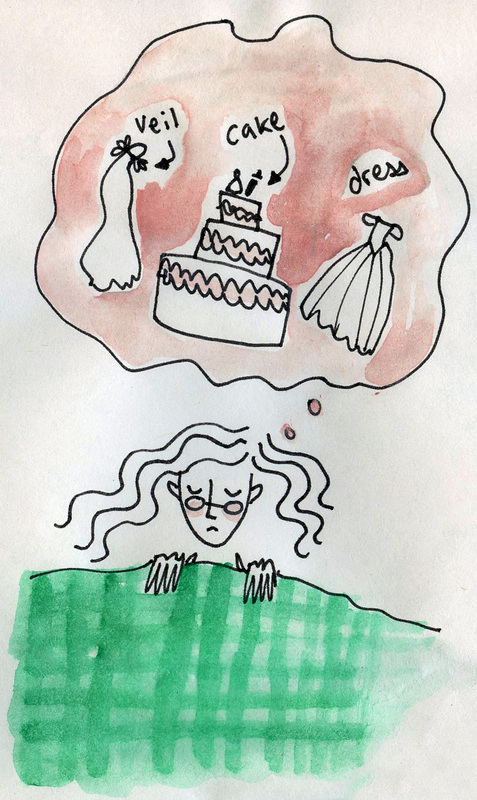 As well as the feeling that I have forgotten to plan some crucial elements of the wedding. It also plays to my anxiety about being the most gorgeous bride in all of history. 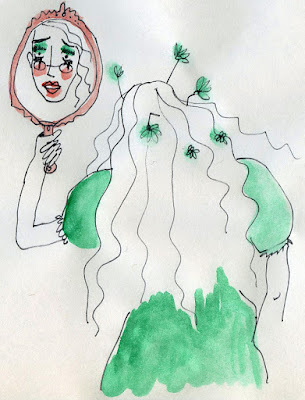 I want to look my absolute best on The Day, but in the dream I am wearing a tacky dress and my makeup is hideous. When Sheldon hears about these dreams he says, "Don't worry, Lucy Rose. It is not going to be like that. We are not going to let any of those things happen." I am glad I am not alone in this process. I have many people supporting me. I have to remember that I am not the only person getting married here. Three of the hard parts of wedding planning are done: The Date, The Location and The Guests. These crucial components are very difficult to pin down. But we have done it! Hooray! 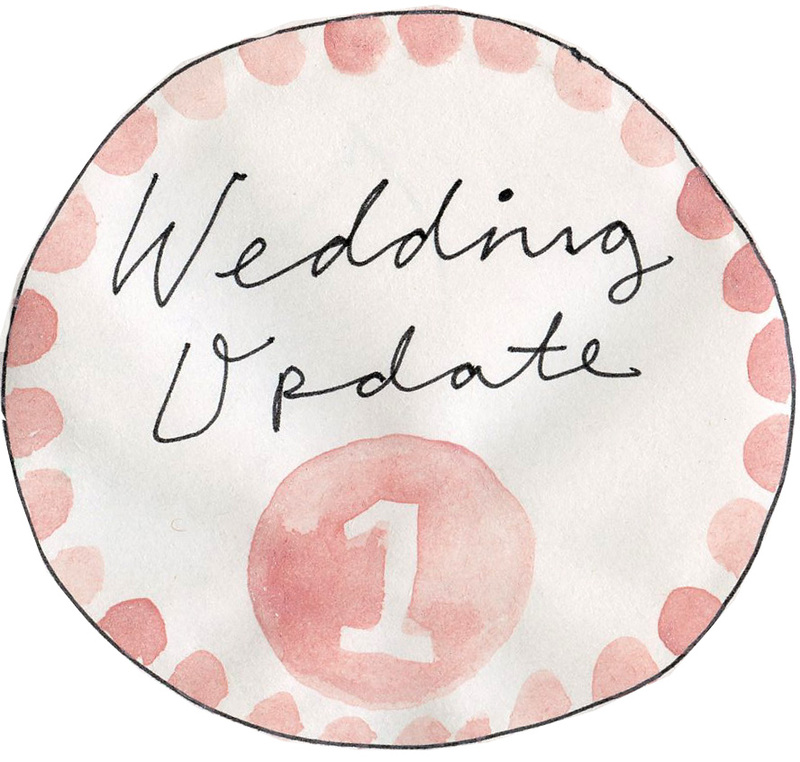 Stay tuned for next week's Weekend Wedding Update! Remember when we got engaged? Eeeeee (that's my happy squeal)!!! You're getting married!! I feel for you with the dreams though - dreams can be emotional, you know? Maybe you should try "lucid dreaming", kind of like Inception - where you can control your dreams and do crazy things for fun. Haha, I wish it were that easy! Let me know if there's ever anything I can do for you - I'm just a train ride away! I love all three of the afore-published comments! Claire, Patrick and Lisa...all people who will do everything they can to ensure that your wedding day is THE most wonderful day and you are THE most beautiful bride!! !